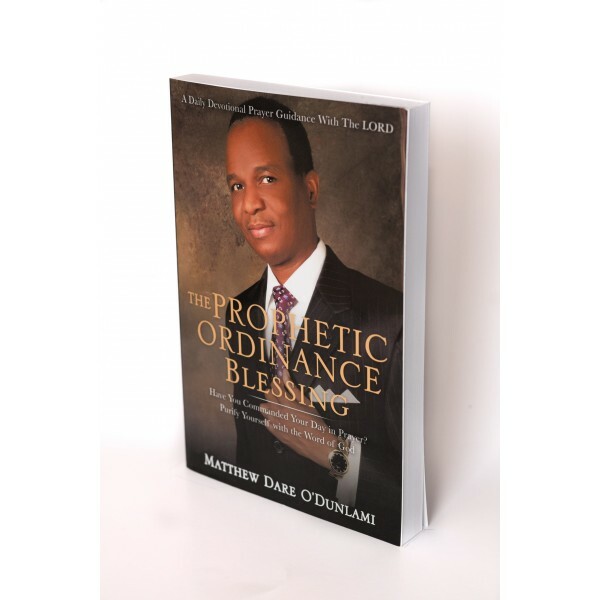 The Prophetic Ordinance Blessing contains over 2,000 consecrated prophetic blessings of God that you can release through utterances and pronouncements over yourself, your spouse, your children and your entire generation. I encourage you to use this powerful Daily Devotional and see what God will do for you and your loved ones victoriously. The Prophetic Ordinance Blessing contains over 2,000 consecrated prophetic blessings of God that you can release through utterances and pronouncements over yourself, your spouse, your children and your entire generation. I encourage you to use this powerful Daily Devotional and see what God will do for you and your loved ones victoriously. Prayer! It’s the prophetic ordinance blessing. Almighty LORD want you to experience Him and His Son through His Divine Destiny Helpers: Holy Spirit, Faith, Person, Time and Location. (1Kg17: 1-24). The Prophetic Ordinance Blessing provides Kingdom effectiveness keys that tackle every aspect of life situations in order to fulfill God’s commandment over humanity. (Gen1: 26-30). Anointing, Power, Blessing, Warfare, Deliverance, Spiritual Growth, Empowerment, Revelation of Christ, Grace, Mercy, Remission of Sins, Salvation, Health, Wealth, Prosperity, Church, Ministry, Peace, Love, Blood of Jesus, Cross, Resurrection, Heaven, Purity, Holiness, Righteousness, Kingdom Living Purpose.